First it was the abandoning of the post-carbon tax floor price, and the integration with the European floating price (see here). Now it is the abandoning of the plan to close the “dirtiest” power stations. Clearing the decks for a snap election, possibly? PLANS to replace heavily polluting coal-fired power stations with “cleaner” electricity are in turmoil and a new rift has opened between Labor and the Greens after the government scuttled a key plank of its carbon policy yesterday. Energy Minister Martin Ferguson yesterday abandoned talks to pay for the closure of some coal power stations – including Australia’s dirtiest facility, Hazelwood in Victoria’s Latrobe Valley – saying there was a “material gap” between what the generators wanted and what the government was prepared to pay, particularly with forecasts for lower energy demand. Mr Ferguson denied the government had ceased the talks because of last week’s decision to abandon a $15-a-tonne carbon floor price from 2015 and tie the emissions trading scheme to depressed European prices, despite claims by industry experts that the decision had “breathed new life” into the most polluting brown-coal power stations. The failure of the talks has widened the divisions between Labor and the Greens over energy policy, forcing the government to defend its commitment to cutting greenhouse emissions after Greens leader Christine Milne accused Labor of a “breach of faith”. Senator Milne said that putting Mr Ferguson in charge of the process was like “giving the fox control of the hen house”. Just another Labor train wreck to add to the already overfilled scrapyard. This isn’t a backflip; it’s a bellyflop.. into an empty pool. I need to buy more popcorn. Would suggest labor have more likely over spent carbon tax propaganda budget, over estimated carbon tax income and run foul of potential huge unemployment backlash in Latrobe Valley…..
Greens Leader Christine Milne said the decision to abandon contracts for closures was “a breach of the commitment made to the public and to the planet”. Would the Ironing be anything like Bronzy or Goldy? If you have friends like the watermelons you don’t need enemies! The ALP must rid its self of Christine and her job destroying policies. Back Flipping Coin SYNDROME is what voters will always get by voting the most SCUM PARTY ever and forever in the future…Enough with Labor. Everything Labor has done has not been thoroughly thought through. Backflip after backflip. No wonder the big polluters are now happy, they hvae received a huge compensation for the carbon tax. Compensation, compensation, compensation – why tax in the first place. Just how much money has been spent on this tax and compensate routine. Bureaucrats are laughing all the way to the bank while the borrowings blow out to unsustainable levels. But it’s the best decision the ALP has made since 2007. MerriamWebster; Faith 2)b; firm belief in something for which there is no proof. 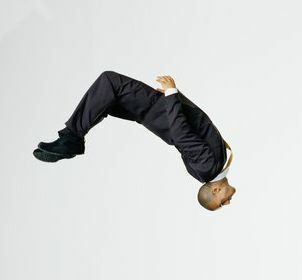 Germany has recently done a very similar backflip – bellyflop…. seems Ms Gillard may have deeper ties to Ms. Merkle than previous thought. First we agree to tying our carbon price to theirs, which seems to be going out that back door, now this with coal fired power stations… look out she will be signing us into the EU before you know it. My take on this is that it’s a further sign that the sceptics are winning. Remember, don’t judge a politician by what they say. Judge them by what they do. And, they’ve done good here! Clearly their last two decisions (EU Carbon Dioxide price and buy-back belly-flop) are recognition that CO2 is irrelevant and they (Labor) now understand that the observational evidence (on the QT of course) does not support the CGAW hypothesis. Labor will of course deny this since it can’t come out and declare it’s had the wool pulled over its eyes by flim-flam and his comrades in the Climate Commission. But they will. Eventually. Policy on the run + no ability to implement = DISASTER. Labor and Liberal both know that, given enough time, the truth (global warming is crap) will surface and become common knowledge. Both major parties are run by fear of the polls and the wrath of their advisors if / when their short-term popularity declines. The truth is that climate science is replete with corruption. Greg Hunt knows this for a fact through the presentation made to him on 27th April 2011. If Labor doesn’t know it already they must suspect it is corrupt and they also will come to know it for a fact very soon. Because they are politicians, they and their advisors think that the first to do this massive backflip – Abbott was right; global warming is crap – will suffer the most at the polls. Those who are not politicians, namely the voting public, could care less about the day-to-day polls. We will vote for the politicians who have the guts to tell us the truth (remember Abraham Lincoln and the tree he cut down). We who have pursued the truth are winning this war. The pollies would never admit it but they are watching all our carefully documented evidence that climate science is corrupt. Let’s keep it going. Meanwhile Milne and her rabble are of no consequence. Let’s deny them any air by refusing to entertain or respond to their ridiculous nonsense. How long before the Labor party somehow spins this as “saving jobs in the Latrobe valley”? Those pesky ‘models’ again. Just goes to prove that the Green models of the future CO2 price, are about as likely to be correct as the IPCC modelling of Climate Change due to AGW. Who are we to argue with Milne on this projection? Or on the vast body of “incontrovertible ‘mainstream’ scientific evidence” about AGW, or on some of her closest allies. Allies as brilliant as “The Great Prof Flim-flam” who asserts that “Gaia is being badly hurt and is fighting back” and of course her great departed leader Bob Brown (who was he again?) who said words to the effect “Aliens aren’t contacting us because they extincted them by their dirty carbon polluting ways.” These are the brilliant minds who ‘believe’ the modelling is proof of AGW – or was it caused by the Aliens/Unicorns – substitute any other imaginary beasts! The current Labor Party would find it difficult to run a chook raffle let alone a $9 billion per year ‘air’ tax! No wonder they’re doing backflips. And the third leg of the trifecta has come in too, in NSW at least, with the O’Farrell government announcing that it will ditch the UN’s sea-level rise predictions. The O’Farrell government it seems has recognised the fraudulent nature of the IPCC’s climate “science”. Chris Hartcher (NSW Special Minister of State) says: ” The scientific knowledge in the field (is) continually evolving”, according to page 9 of Saturday’s “Weekend Australian”. So much for the “settled science” confidence trick of Al Gore and his comrades Flim Flam Flannery and the climb-it confusion rorters, who climbed aboard the climate gravy train. But it can’t be all bad for Flim Flam, at least, as he will now be the beneficiary of a capital gain as his waterfront property recovers its true value. But hang on, isn’t there a law that deals with driving down the price of an asset by circulating lies, buying at the bottom and then taking the gain when the rest of the dummies finally work out that it was all a scam? Or does that only apply if you’re subject to the requirements of the Corporations Act?